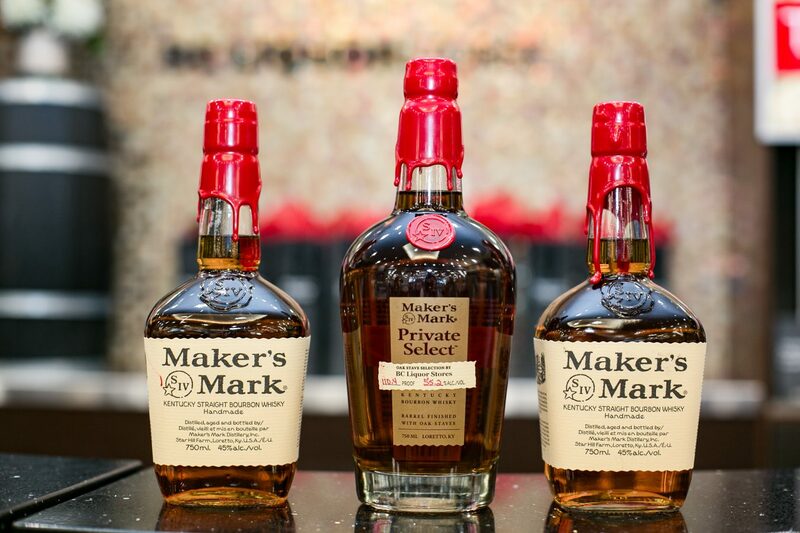 The last time I visited Maker’s Mark, the tour took us to a new area of the distillery: a glassed-in tasting room hosting a lucky few in an advanced blending and tasting exercise called Maker’s Mark Private Select. Gazing at the individually-marked barrels containing their experiments that rested in an adjacent cellar, I remember thinking, “I want a piece of that.” And my call to the bourbon angels has been answered. 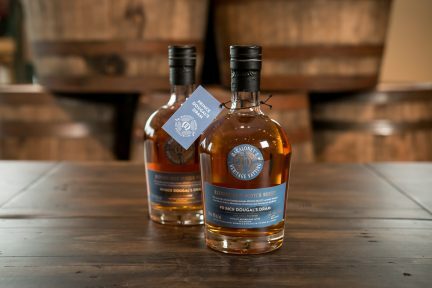 British Columbians can now get a taste of the province’s own unique Private Select—an aromatic, dark, 110.4-proof (55.2 per cent alcohol) whisky with layers of flavour that unfold like spicy, fruity, booze-soaked Christmas cake. “For years we’ve had customers asking for single barrels at Maker’s Mark,” says Jane Bowie, director of the bespoke program, visiting Vancouver from Loretto, Kentucky to help launch the one-of-a-kind bourbon at the BC Liquor Store location on Cambie and 39th. 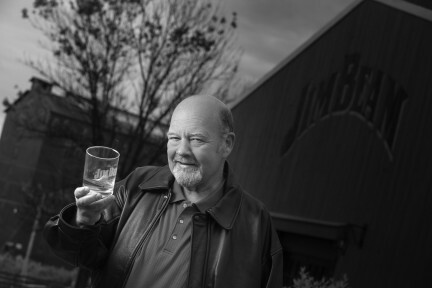 Along with Rob Samuels (the brand founder’s grandson), Bowie created Private Select to “let our best customers come in and create their own expressions.” About a thousand liquor retailers, restaurant customers, and whisky clubs (most of them in Kentucky) have taken Maker’s Mark up on the offer so far, but British Columbia is the first place in Canada to participate. Launched with a private tasting on Nov. 27, 2018, the product is available at select BC Liquor Stores across the province; only 246 bottles exist. Bowie, the distillery’s bourbon-maturation specialist, explains that 70 per cent of a whisky’s character comes from wood aging. For bourbon, that means in new American oak barrels with charred interiors. 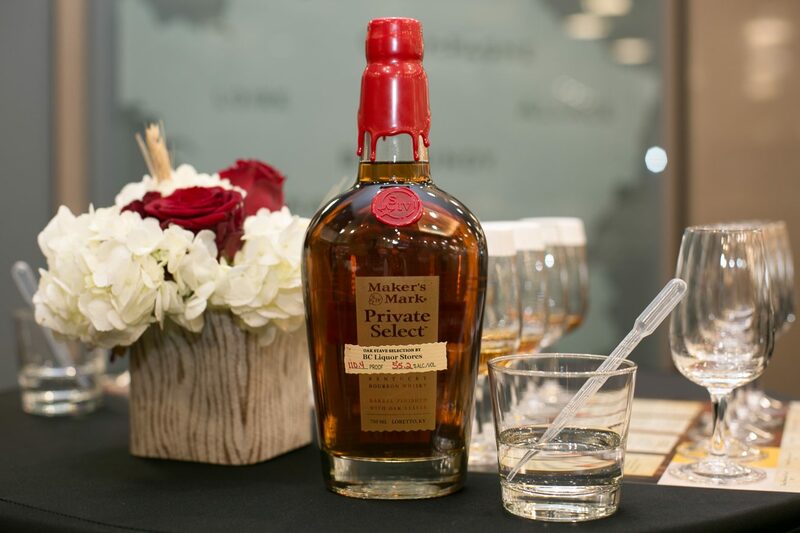 With Maker’s 46, released in 2010, the brand began experimenting with inserting 10 extra-toasty French oak staves into barrels of aging bourbon during the cool winter season, teasing out amped-up levels of its signature flavours of smooth vanilla and caramel, balanced by sweet baking spices and a warm, soft finish. “There’s no Kentucky hug in Maker’s Mark,” says Bowie, referring to the bitter, throat-closing rasp that new oak gives to some bourbons. Maker’s founder Bill Samuels deliberately avoided it by incorporating smooth, soft wheat into his base whisky in place of the more common rye, since as a so-called supertaster, he was intensely sensitive to bitterness. Private Select customers choose 10 staves of up to five types of oak to soak in their aging barrel of bourbon. Of the 1,001 possible options, not all are yet explored. “This will absolutely never exist again,” says Bowie of the Private Select formula created by the team of Adele Shaw, the BC Liquor Stores category manager for spirits. For Bowie, who arrived in Vancouver to build-an-ark rain, the product seems well suited to its home. “I think of this weather and the coast and the salt air,” she says, “and this dry, spicy bourbon fits.” This visit to Vancouver helped close a personal loop for her: a dozen years ago, one of her first assignments as a new Maker’s Mark employee was to host a group of rowdy B.C. bartenders in Kentucky for a week. 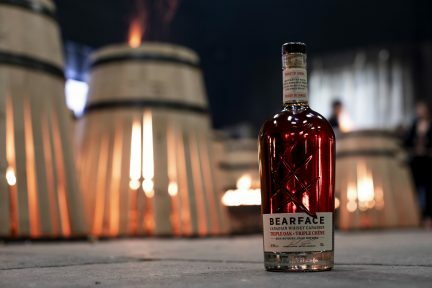 The brand had noticed an unusually big spike of sales in Vancouver, led by some bourbon evangelists who turned our market into an early adopter of the current craze. So standing here now, she has come full circle. And with the first Canadian custom batch of Private Select, we British Columbians keep our status as a modest slice of Kentucky in Canada. 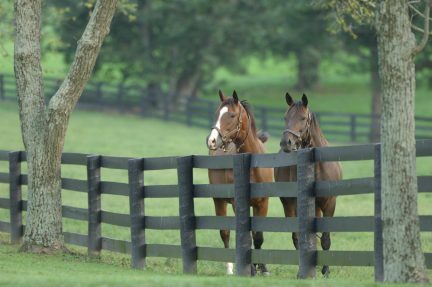 Savour more in Food and Drink.